Last weekend I travelled (with 44 other book artists) to Mogo on the NSW South Coast for Booked and Bound, the region's inaugural book making and paper craft festival. 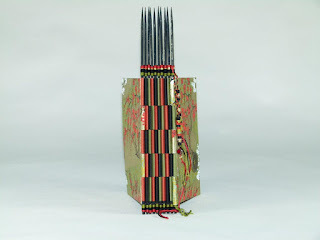 Sixteen workshops on eleven different binding styles were offered over the three days of the festival. The workshops were held in one large space, which made for a fairly exciting dynamic as people drifted between workshops to check on what others were doing. Working at a fairly frenetic pace, I was able to produce three books over the weekend. 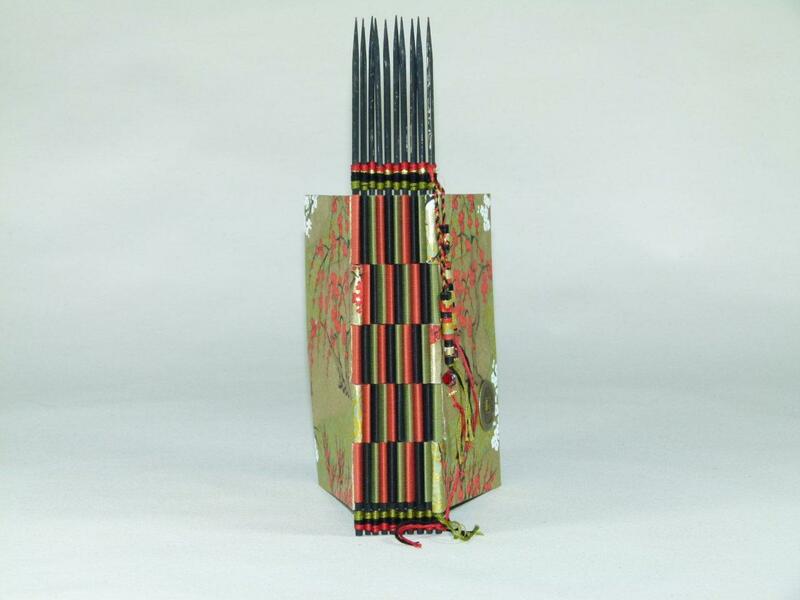 The first of these (above) was an oriental skewer book that made use of some wonderful Chiyogami and Basil papers. As is often the way with such workshops, the design decisions had already been made and the materials pre-cut so I can't claim too much credit for the work - this should rightly go to local fibre artist, bookbinder and print maker Keedah Throssell, who ran the workshop.